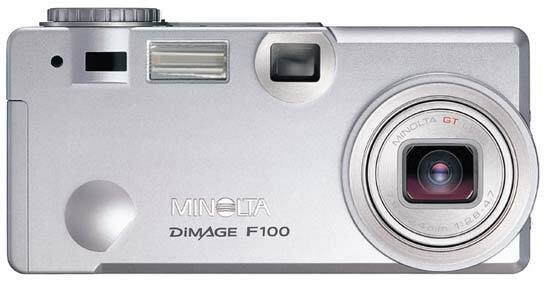 Minolta has replaced its Dimage F100 launched less than a year ago (March 2002) with F300. The first thing catching the eye is a larger resolution, but later it turns out that it's not so important. A 5Mp shot of the new model measures 2560 x 1920 against 2272 x 1704 and 3.95 Mp of F100. The length is now greater by 288 pixels (12%), or by only 1 "polygraphic inch". The file size grows in square proportion, that is why a memory card can now house 4X shots instead of 5X and the camera may shoot slowlier. 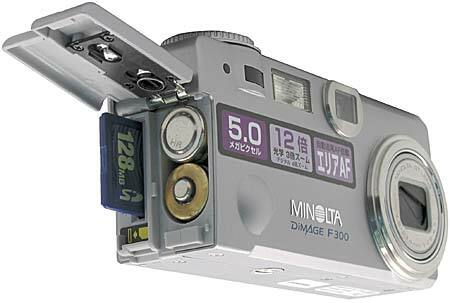 F300 must work faster than F100: the buffer increased up to 32 MB made the new camera faster and more functional. 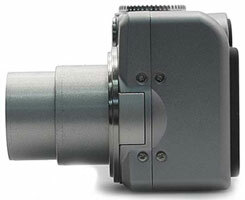 So, if you shoot video or make dynamic shots in the series mode, go with F300 as it provides up to 20 min. of video with the new Extended Recording technology (instead of 35 sec of F100), up to 180 minutes of sound, 1.5 fps series in the standard mode (F100 had it the same) and up to 11 fps at Ultra High Speed 1280x960. The transition to the bigger matrix also entailed an increase in basic sensitivity - 64 instead of 100. Auto, Auto & Red-Eye reduction, Fill Flash, Off. 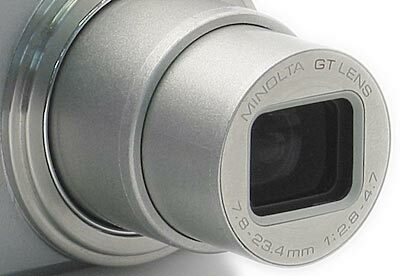 Minolta GT 3X Lens 1:2.8-4.7 f = 7.8-23.4 (equivalent to 38 -114 mm for 35mm frame) is zoomed by moving and rotating external mount cylinders. Above you can see how the lens works (from http://www.minolta.pl/). Data coming from the matrix are processed with a 12bit ADC and the camera's processor by Minolta-CxProcess algorithm (optimization of sharpness, contrast, color, digital image noise - like in Dimage 7). 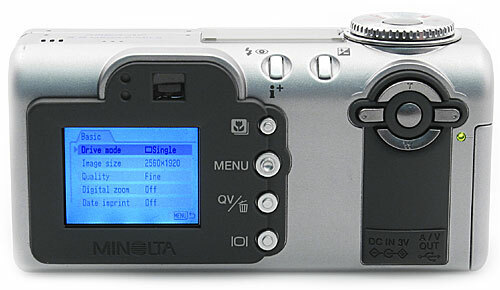 The advanced technologies incorporated into Minolta F series is automatic choice of a subject mode and auto focus. The focus system is based on 5 sensors forming a cross. You can manually set a focus area (press and hold the multiselector button and choose an area with side buttons) or enable the area AF zone (covers 50% frame) for detecting (by the camera's automatic system) a needed object. 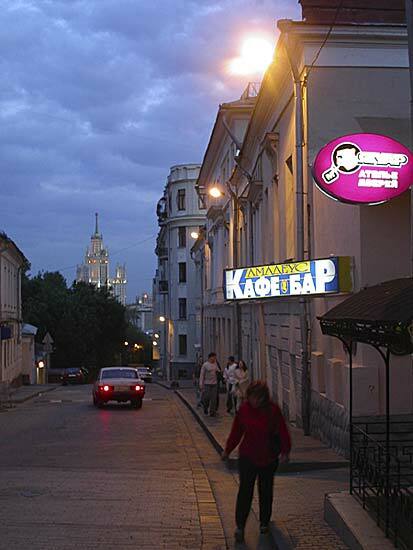 The subject tracking AF follows the subject in the space (normal to the frame plane is the speed of running, and along the place is the speed of walking). The automatic system can choose a subject mode out of Portrait, Sport, Landscape, Sunset and Night Portrait using the data of the AF system and 256-zone exposure metering system. In case the auto system chooses a program, the display shows a respective pictogram. Shooting modes: auto, manual (you can choose an exposure program type or manual settings through the menu), view, video, dictaphone and system settings. Mic-in and speaker. AREA AF and 5 MEGA PIXELS written on the top. Manual focusing and focusing point manual selection. 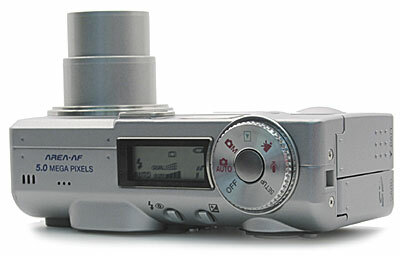 F300 like F100 is controlled through the menu and mode dial. With the latter you can select either the automatic or one of the manual exposure modes (manual, program AE, Aperture Priority, Shutter Priority), view, video and sound recording. The flash mode and exposure correction buttons are under the information display. Today camera developers tend to remove an information display, but this camera still has it and it helps a lot in case of traditional shooting style with a viewfinder. 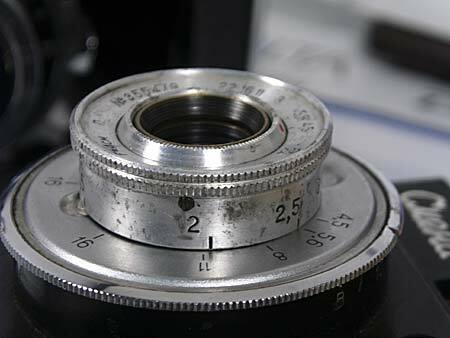 But, like in F100, the flash shines toward the photographer as well through the information display window. 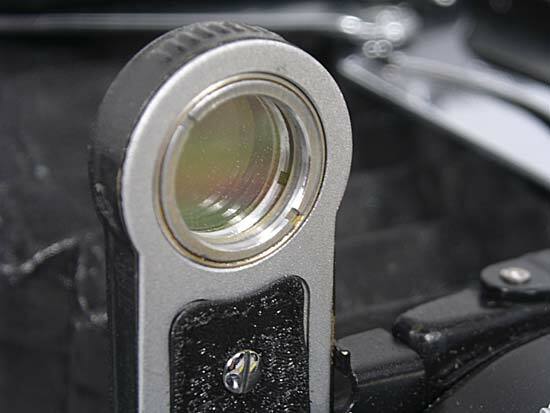 It may prevent you from correct estimation of brightness of the scene you shoot. TFT display, menu navigation and lens focal length control buttons. The flash and exposure correction buttons are under the information display. 64Mb SD memory card bundled, 2AA batteries. Plain and stylish brick-shape design. Resolution chart fragment (twice enlarged in HTML) for F=11.3 mm and f/d = 3.5. F300 supports noise reduction at long exposures (over 1 sec). It can be forcedly turned on/off. Full image JPEG 1591 KB is here. The lens optical properties are good, aberrations are intangible, but the number of lines out of focus got slightly increased. Reduced shot, without framing. Minolta F100, auto mode and shot fragment 1:1. Full JPEG 1522 KB image is here. ISO 200, 1/10 sec, f = 11,3 mm, f/d = 3.5. 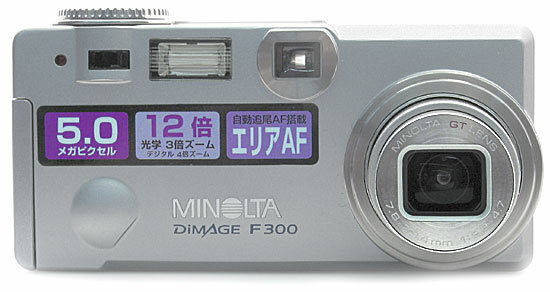 In the series mode Minolta DIMAGE F300 made 7 shots of 2560*1920 1.8MB at 8 sec (auto focus, auto exposure, system sound are enabled), though F100 can make only 4 in a row until the buffer is full and then 1 shot in 4 sec. The F line has changed but if you are not going to shoot long series and 20-minute video clips then F100 will be no difference from F300. Those who are targeted by the company will, most likely, appreciate lengthy video clips, - they won't need a video camera in addition.